We already know that New Zealand is a country that has many wonders and that there are a lot of reasons to go to exchange there. But, you already thought about visiting the country in the summer? When we put the words summer and Oceania in the same sentence, we usually think of Australia suddenly, yes? What happens is that the New Zealand summer has a lot to offer in that season full of heat and beaches. Read here more about how to take advantage of summer in New Zealand holiday destinations. The sunny New Zealand summer days are so long. In Auckland , for example, the sun sets around 20:30, and in places further south, like in Queenstown , the day only goes dark at 9:30 pm, more or less. It is an average of 15 hours of light per day. So, even if you work until 6pm, you can enjoy the delights of summer after working hours. In New Zealand, summer temperatures are between 20ºC to 30ºC. Thus, days with 25ºC are considered the high points of the season. The good news is that you can take advantage of the hot summer days without getting sweaty there. And do not forget to always have a light jacket with you, because at night time stays cold, even if the day has been hot. “New Zealand? That country that is exactly at the other end of the world? “This is what your friends and family would tell you if you announced your intention to visit this paradise. Yes, we know that it is far away, and it is precisely for this reason that New Zealand deserves a visit, so far from (our) world, it is a country of contrasts, rich in culture and breathtaking natural landscapes. We reveal some prominent reasons to convince you that it is worth getting on a plane and spend countless hours to reach these incredible islands. Warning: after reading this place you may feel an unstoppable urge to prepare your suitcases and visit the Māori country. With 14 national parks, NewZealand holiday destinations are pure nature. Its remote 98location has preserved intact its dream landscapes and its rich biodiversity. We advise you not to miss Milford Sounds, the area of fjords and glaciers located in the Fiordland National Park. Yes, in New Zealand kiwi is not only a fruit but also a particular bird that is the symbol of the country and the way in which its inhabitants are affectionately called. New Zealand is a 100% Western country with a rich and developed economy, where the balance between work and leisure is strongly respected, one of the pillars of the kiwi lifestyle. According to some rankings, two cities in this country are in the top 20 cities with the best quality of life in the world. It’s worth going to try it. The temperate climate with strong seasonal contrasts makes New Zealand a country where it is pleasant to live. There are coasts for all tastes, of white or black sand, warm water or ice, beaches where the sea is calm or where you can surf in the waves. Do you like adventurous sports? Luxury destinations New Zealand is a paradise for fans of sport and contact with nature: from skiing to extreme sports, outdoor activities form part of this country’s DNA. Queenstown, on the South Island, is the mecca of sportsmen and where the Bungee Jumping was invented. Although it may seem a remote destination, it hosts inhabitants from all over the world, especially from Asia and from Anglo-Saxon countries. For this reason, its gastronomy boasts international delights and its strongest is “fish & chips” that has evident English influences. The name by which the Māori refer to New Zealand is Aotearoa, which means “country with a long white cloud.” The māori culture comes from Hawaiki Polynesia, its history, its language (Te Reo Māori) and its traditions, like the flashy tattoos ‘Tāmoko’, are an integral part of life in New Zealanders. New Zealand is a travel destination that promises a fabulous stay of relaxation and escape. Particularly vast, the country consists of a luxuriant nature lending itself to different leisure activities. It has many historical and traditional sites that fascinate young and old alike. To help you learn more about the attractiveness of the New Zealand holiday destinations, here are three must-sees to enjoy during your family vacation in New Zealand. Going to meet animals is one of the most popular activities for families going on holiday to New Zealand with children. So, during your getaway in the country, do not miss to visit the famous Auckland Zoological Park. Located near the business district of Auckland, this exceptional site is home to abundant and fascinating wildlife. Children and adults alike will be impressed to see remarkable animals, such as Asian elephants, sea lions, Galapagos giant tortoises, Temmick cats that are scarce species of feline, wallabies, tigers from Sumatra, etc. Real meeting place between Man and animals, you will have the opportunity to approach, and even to pet, some animals. Spending a few days in the charming town of Kawhia offers you the opportunity to enjoy a good time with family during your trip to New Zealand. It is located on the west coast of New Zealand, not far from Raglan and Hamilton. This beautiful town will seduce you for its sublime stretch of black sand beach lined with dunes on the edges of Ocean Beach. The water is warming almost all year long, and the waves are unusually mild during low tide. The Experiential tourism is the latest revolution in the world of travel. When the traveller has access to information about New Zealand holiday destinations, he has to go a step further and not only surprise him but also leave an indelible memory in him. New Zealand and the tourism of great feelings seem made for each other. The nation of the All Blacks has been a constant source of astonishment since the Maoris arrived on their coasts aboard their boats in the 10th century. Today, thousands of travellers continue to be surprised with their charms, and no wonder. With its natural reserves and the 14 national parks it has, New Zealand is a paradise for lovers of outdoor spaces, flora and fauna. Natural parks. The Egmont National Park, with the Taranaki volcano as the main protagonist, and Mount Aspiring National Park, the largest in the country with its 350,000 hectares, are two of the most outstanding destinations. The parks are a magnet for those who understand tourism as an opportunity to practice their favourite sports, including mountaineering or hiking. Other unique parks are the Kahurangi National Park, the Tongariro National Park (suitable for skiing) or the Mount Cook National Park. The Coromandel Peninsula offers unrivalled routes parallel to the coast, while the Franz Josef Glacier offers the opportunity to practice speleology in one of the glaciers closest to the ocean known in the world. The Mount Cook, the most famous Maori is worth a visit during luxury destinations New Zealand tour. Visiting the magnificence of natural territory travelers are well so tailored with a mix of landscapes and cultures. There are many small cities and small places across in this world with its clean and natural image. A Welgrow travel caters to endow you with family travel destination in New Zealand from booking to guiding and also providing you with all services and places to stay and ways to get around. This place has got enthralling beauty spots and limitless arrays of outdoor adventures and activities and game viewing, NZ has to offer. From highest mountain to peninsulas, overseas has it all in short. You will always have the option to choose and pick your favorite spot as they have narrowed it down for you. New Zealand offers a very diverse range of sightseer attractions and adventure activities. It has magnetizing long and narrow endless kilometers of coastline. This naturally gifted nation has long and sandy beaches, picturesque bays over hung with stunning silver green, red flowering, and, just perfect for rock hounds. A luxury travel in Newzealand is definitely a trip of a lifetime. Here are some of the prominently traveled destinations. 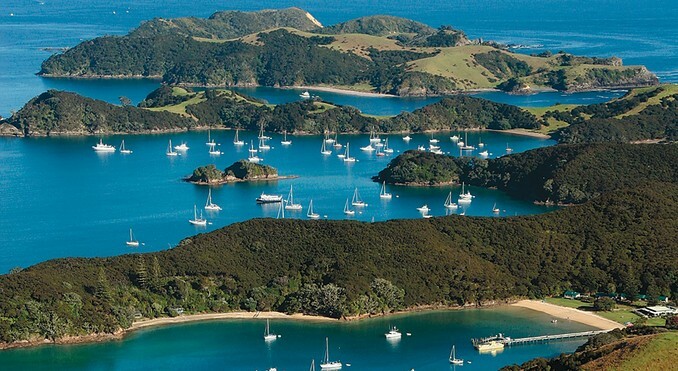 The Bay of Islands is one of the best places to go in New Zealand for sailing, fishing, and other water sports. This lovely region is made up of 144 islands that come in between the Purerua Peninsula and Cape Brett. You can just get on or in the water! Many holidaymakers are spotted trying scuba diving here. Tourists can explore a whole new underwater world to become close and personal with the marine life in the Bay of Islands. You’ll get to see whales and dolphins from the boat and, if conditions permit, swim with wild dolphins. Visiting the majesty of natural realm travelers are well so catered with a mix of landscapes and cultures. There are many small cities and small places across in this world with its clean and natural image and worth the money and the size with its food options are always abundant. Welgrow travel offers to endow you with luxury travel in New Zealand from booking to providing you with all services and places to stay and ways to get around. This place has got many beauty spots and unlimited arrays of outdoor adventures and activities and game viewing, New Zealand has to offer. From highest mountain to peninsulas, overseas has it all in short. You will always have the option to choose and pick your favorite spot as they have narrowed it down for you.